In order to secure a paid position as an event planner, it helps to have as much real world experience as possible. 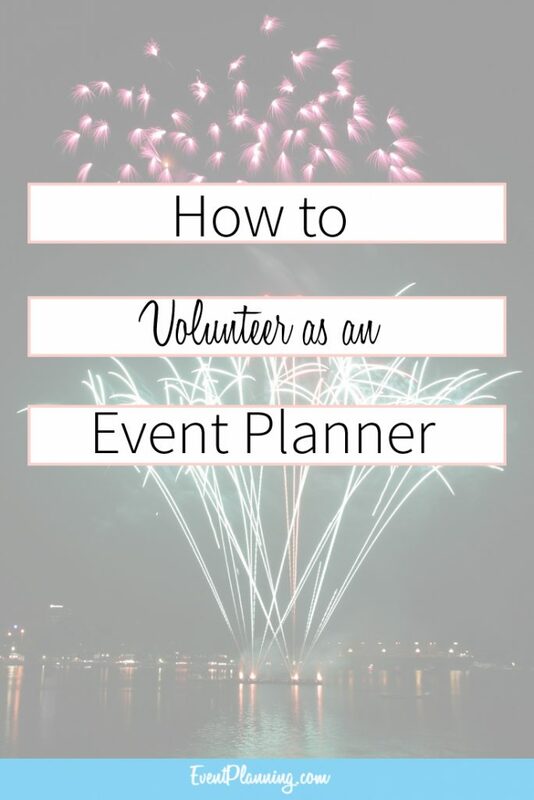 If you have never planned a professional event yourself, volunteering your time and services is a great way to gain real world event planning experience. Local charities are a great place to start your search when looking to volunteer as an event planner to gain real world experience. Charities are always holding fundraisers and need people to help run those events. If you can successfully show that you helped a charity run a fundraiser on your resume, businesses will see this as a positive indication of your event planning abilities. If you are a parent, your children offer excellent opportunities to volunteer as an event planner. Whenever your child has a school event that calls for parents to volunteer to run the event, you should not hesitate to volunteer your services. Planning a large school function for your child’s class will allow you to gain excellent event planning experience. In addition to planning school functions, you can volunteer to help organize any events for your children’s athletic teams. Most sports teams will hold a team banquet at the end of the season to celebrate the team’s accomplishments. Stepping up and volunteering to plan this event is another outstanding event planning volunteer opportunity. If you cannot find any local charities that you want to work with and do not have children, you can always network with event planners and volunteer your services as an intern. When attending an event that you know an event planner put together (wedding, banquet, corporate event, retreat, fundraiser, etc) take the time to seek out the event planner and talk to them about their business. Let the event planner know you are interested in joining the field and you may be surprised at how helpful they will be. You should ask for their business card so you can reach out to them later and see if they are looking for an intern. It always amazes me how few people do informational interviews. All you do is find a successful local planner and reach out to them via email to see if they would be available for a 15 minute informational interview. The majority of business people gladly take part in these types of interviews, so if you plan and write out 10 – 15 questions you will learn a lot. And if you hit it off with the planner, you can offer your services as a volunteer. Once you are able to gain experience as an intern or volunteer working for an event planning business, you will be able to leverage your real world experience into a full time paying job as an event planner. Remember – businesses value real world experience over education. If articles like this are helpful to your event planning, you will enjoy our full "Become an Event Planner" course. For a limited time you can try the full course for only $7 (regular price $295). This limited time trial includes more information on getting experience, proposal samples, 23 free bonus templates, and contracts; as well as 11 modules and weekly projects to help grow your business. I’m very interesting and party planning career, and I like to work as a voluntary event planning volunteer. I’m looking information about the career. I do volunteer work plz contact me for advice. I am looking for a person who is willing to volunteer their service is planning a hair event to bring autism awareness. Please contact me.